Camp Fish Tales recently elected its 2017 board of directors. 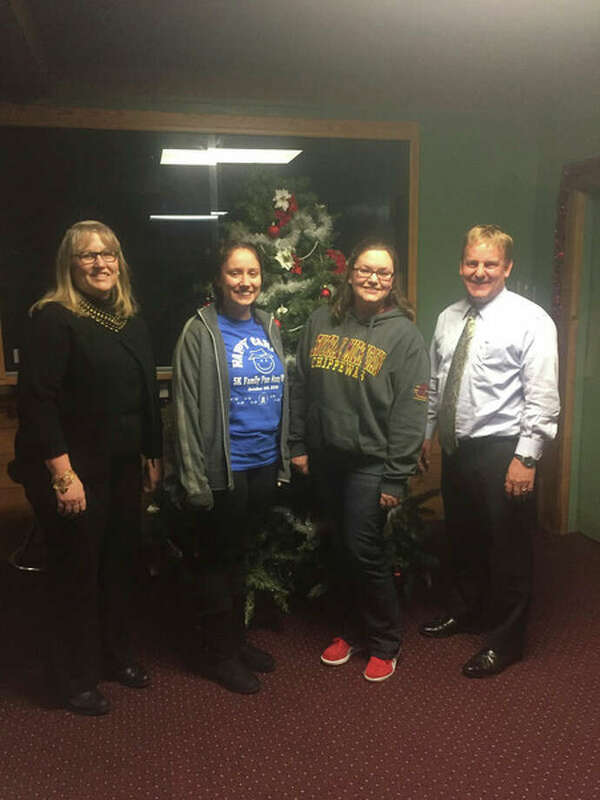 From left they are Sue Jensen, Bay Community Foundation treasurer; Heather Rick, Salvation Army secretary; Vice Chair Jennifer Page of Kirtland Foundation; and Chairman Karl Ieuter of Ieuter Insurance Group. Camp Fish Tales, located in Pinconning, is non-profit organization that strives to provide a unique and exciting outdoor learning experience for children and adults with special needs. The summer camp experience helps to enhance health, abilities, independence and quality of life for children and adults with physical and cognitive disabilities. Applications for counselors and campers are now being accepted for the 2017 Camping Season. Visit www.campfishtales.org for more information or call (989) 879-5199.